This is the masterpiece one-bedroom condominium of your dreams in the finest West Side neighborhood! You will fall in love with this extraordinary, large corner home with unsurpassed city panoramas from two exposures to the west and north. The dazzling residence features a magnificent corner living room with spectacular city vistas, a luxurious spacious bedroom, an exquisite new designer windowed kitchen with top stainless steel appliances, granite countertops and limestone floor, a stunning new marble bathroom, enormous picture windows, lofty 9 foot ceilings, through-the-wall air-conditioning, washer/dryer, fantastic closets, and more. 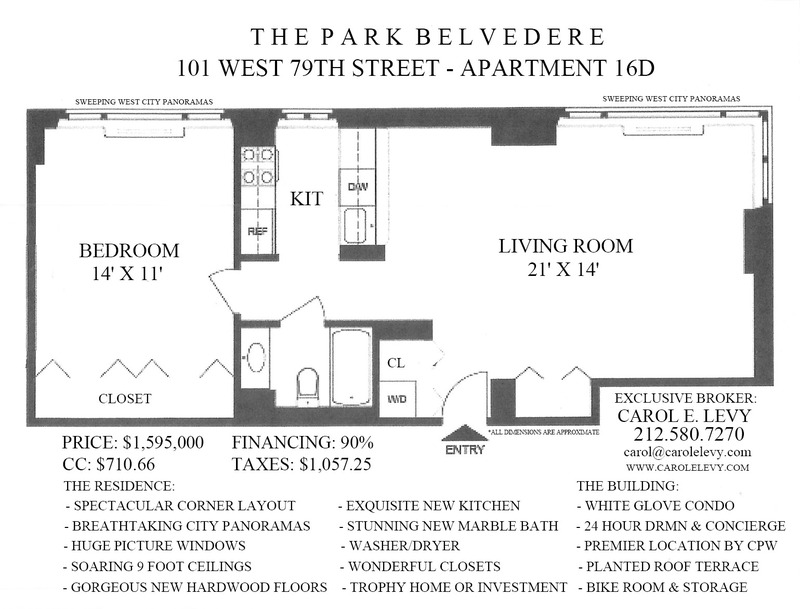 The Park Belvedere is one of the Upper West Side's most coveted condominiums, and with just four residences on the 16th floor, it has an exclusive feeling of intimacy, unlike most condominium buildings. Residents enjoy 24 hour white glove doorman and concierge services, laundry, bike and storage facilities, and a gorgeous roof deck that crowns the building. The premier West Side address at the northwest corner of 79th and Columbus is just steps to Central Park, the Museum of Natural History, the finest shopping, restaurants, the 1/B/C trains, the crosstown bus, and the best culture the city has to offer. Pets are welcome. 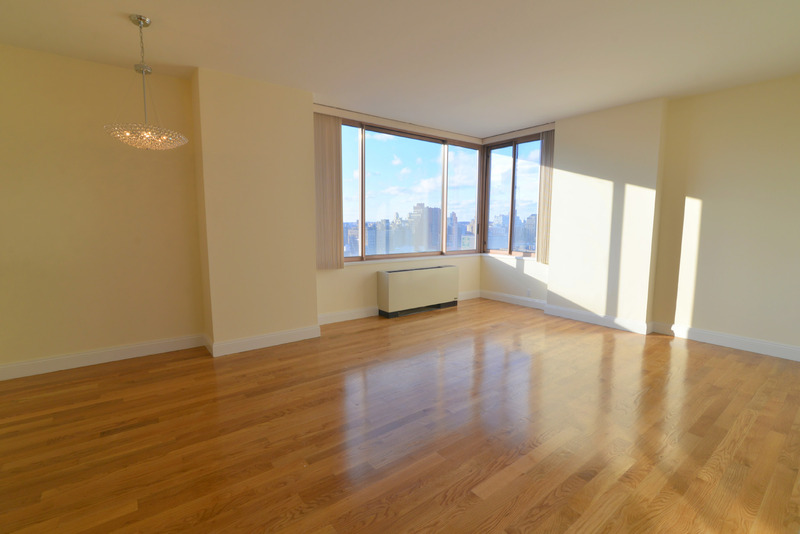 Whether you are looking for a new home, pied-a-terre or investment, this is the trophy one-bedroom you have been waiting for!